As always, also Battlefield will be about brutal multiplayer matches, but Battlefield 1 will also have a singleplayer campaign where the player can experience the stories of different soldiers fighting on different fronts. The Battlefield fans demanded more sandbox elements and DICE there will be some in the campaign, and this means the campaign might not be too linear. Some fronts are already confirmed, there will be the Italian Alps in the game, as same as the Western Front and the Arabian desert. There will be four different character classes, the Assault class, the Medic class, the Support and Scout class. The weapons in the game will be all customizable, who would have thought something else. But Battlefield 1 will also be about vehicles, and we can expect to be able to embark into bombers, biplanes, boats, light and armored tanks. There will be battleships, but something really interesting is that they added the cavalry, and it might be quite interesting to ride into the battle with a horse! The game will also be very melee centric, well, of course the World War I fight have been quite brutal with all the close combat. Apart from range weapons, you can expect to fight the enemies with bayonets, sabres, clubs and even shovels. You will also be able to use flamethrowers and there will be gas grenades. I think the multiplayer could be very interesting, and I remember that people questioned that a first person shooter would work in the setting of the World War 1, but let’s be honest, the have been other games in the same timeframe, and as you can see, EA and DICE disagreed, and came up with many ideas. We saw so many modern combat shooters that it’s actually quite cool that we can go back in time with the next Battlefield game. You can already pre-order the game, but you probably don’t want to do this away. Since publishers often force developers to release games unfinished, it might be force to wait for the open beta, or maybe even for the first patches after the game is released. Will Battlefield 1 be an unfinished game? Nobody can know it yet, but totally bugged games have been released in the past, which is why I wanted to mention it after the hint that you can pre-order the game already. However, it’ll be interesting to check out the closed beta or the open beta, the World War I setting will be something very fresh, we saw way too many modern shooters in the past, and it’s great to go some steps back now. 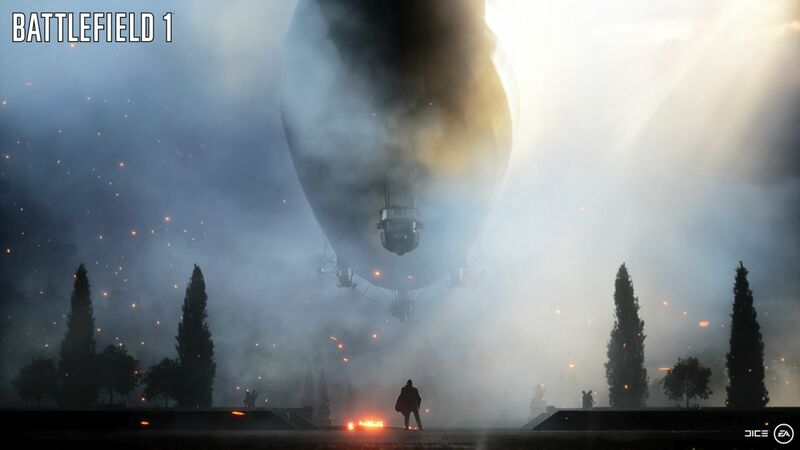 The Battlefield 1 release date is to October 18 in 2016. Let’s wait a while now, we will get more information’s about the game over time.